Now, I feel the Theirry Mugler Angel fragrance barely needs an introduction. Whether you own it or not, you've bound to have heard about it somewhere, whether this is from TV adverts, in stores, or your friends mums cousin because aka everyone knows about it and you should too. Ok, so if you're already in love with this perfume, there's good news for you as it's now available in a form of chocolate, yay for my diet. Mugler has collaborated with a legendary French House which is La Maison Du Chocolat, in order to translate their most iconic fragrance into a scrumptious chocolate, to celebrate its 25th anniversary. 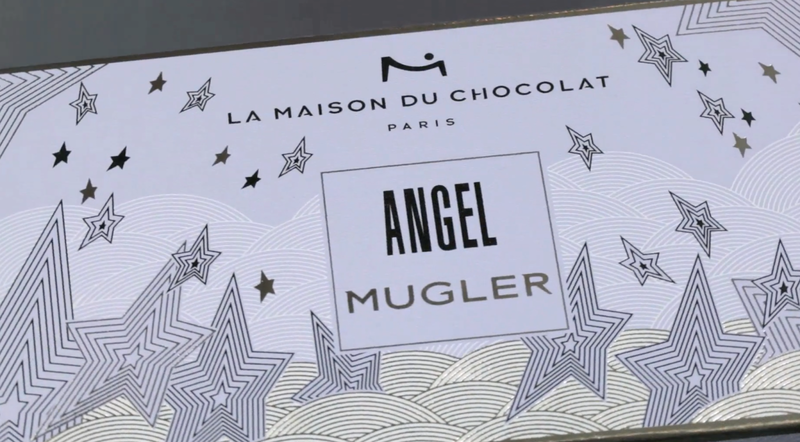 For this collaboration, Nicolas Cloiseau (Chef of La Maison du Chocolat) has taken subtle notes of the Angel Perfume, created by Oliver Cresp for Mugler. 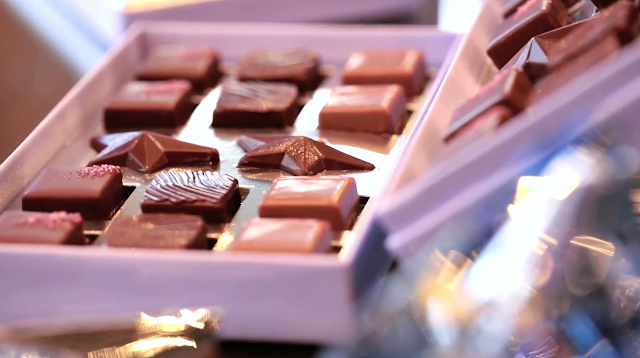 He has captured some of the notes in the fragrance, resulting in the blend of bergamot, red fruits, praline, vanilla and patchouli, and interpreted three accords in order to create these chocolates. In simpler terms, the chocolates are going to taste heavenly.